As part of selling your business, the lease can be one of the most overlooked barriers to completing the deal. The buyer and seller may have a “meeting of the minds” when it comes to the lease, but if it isn’t assigned they have nothing to buy or sell. Let’s explore a few of the common issues that come up related to a lease in the sale of a small business. As part of selling your business, the lease can be one of the most overlooked barriers to completing the deal. Ideally a tenant should sell a small business with more than three years left on the lease. The takeaway here is the longer the better. It’s not uncommon for me to meet a seller who is going “month-to-month” on a lease and proud of it. In their mind they’ve reduced their commitment to the business, but in the buyer’s mind one of the largest expenses of the business is unsecured and at risk of inflation. The buyer’s ideal scenario is a monthly rent price that is known and set into infinity, and for this reason many buyers ask if there is an option to buy the real estate. When sellers go month to month, the lease negotiation with the landlord is shifted further towards the advantage of the landlord/property management firm. When a business is sold the buyer must be approved by the landlord to be granted an assignment or a new lease. The seller normally only cares if the buyer has the funds to pay for the business, but the landlord doesn’t want the buyer “squeaking in” with nothing left in the bank account, or even worse bringing debt into business. Landlords want to see reserves for a buyer to be able to pay the rent for up to six months, and they will ask for a “PFS” or personal financial statement to judge the rent worthiness of a tenant. Much like an SBA loan, they may also want to see some experience from the tenant that’s relevant to the business they are buying. While the landlord can’t tell an owner how to run a business if they pay the rent and follow the rules of the lease, they can make it difficult to get in. It’s not uncommon for a landlord or property management group to ask to see the contract for the sale of the business before considering a new tenant. They do this because they want to know how much the seller will make when they sell the business, and they may want a piece of the action. This is called an assignment fee. For the right to transfer a lease, or what is often justified as “attorney’s fees,” an assignment fee is demanded to release the current tenant from their obligations. The fee is normally between $2K-$5K, but in one case I’ve seen a landlord ask for 10% of the contract price, which was $33,000. Assignment fees are negotiable, and a good broker and/or business attorney can assist a seller in negotiating this amount. It also highlights the value of having a good relationship with the landlord. While the assignment is typically the responsibility of the seller, the landlord can and will also ask for a security deposit from the buyer. A reasonable security deposit is one month’s rent, but this too is subject to negotiation. I’ve seen up to six months requested, and again it’s highly negotiable. Both the term and how long it’s held can be negotiated. While the seller of the business may think this isn’t his or her problem, it can be a problem if the security deposit makes the acquisition prohibitive for the buyer. Landlords may ask for longer term security deposits as a deterrent to acquiring the space if they’re not trusting of buyers. Having a strong personal financial statement and experience to run the business is the best defense against an unreasonable security deposit. Just when you think it couldn’t get any worse, there’s more. Landlord’s often don’t like letting the original tenant off the hook. If a seller gets his or her lease assigned, the landlord will most likely insist that the seller stays on the lease as back up in case the buyer doesn’t pay the rent. Why have one “throat to choke” when you can have two? The best defense here for a seller is to negotiate the removal of a personal guarantee when renewing a lease years before selling the business. If the business is strong and long lived, and the landlord likes you, renewing for a long term but removing your personal obligations will best position you to exit your business without the associated liabilities attached. Some things like the “month to month” phenomenon of sellers are counter-intuitive. A final example are below market rents. While below market rents can be great for a seller for cash flow, it’s all the more reason to expect a landlord to “correct” the rent when a new tenant arrives. Market rates are what you want to be paying to avoid any unpleasant surprises when it’s time to sell the business. I am selling my small business effective June 1, 2019. My lease is also expired effective June 1, 2019. Do I still assign the lease or is it just a new lease to the buyer? Of course the landlord is asking for assignment fees. I’m a business broker, not a real estate attorney, but that sounds like a new lease to me as you have completed your lease term. A new lease shouldn’t come with an assignment fee or hold you liable if it’s written for a new tenant, but it may also come with new terms. I recently purchased a business while the previous owner still has 2 years left until the original property lease space is due to end. The landlord is not willing to change or start a new lease agreement. The landlord has notified me that we are to vacate the property by the 1st of the month which is in 2 days! What can I do because I managed it for the last 7 months and previously left a very good job for this opportunity. What are my rights and what can I do! When selling or buying a business, the assignment of the lease agreement can become contentious. I am sorry you are in this difficult situation, particularly after the business was acquired. If you purchased the business under a stock purchase agreement and there is nothing in the commercial lease agreement that prohibits you from continuing to occupy the space and operate the business, you should be able to defend your position. 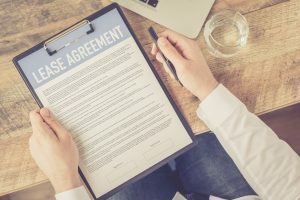 On the other hand, if you purchased the business under an asset purchase agreement, then the commercial lease agreement may have clauses that limits your rights to assume the lease, with or without the landlord’s permission. In most business’ sale agreements where a commercial lease is involved, there will be specific clauses, sections or language that spells out whether the landlord’s lease assignment must be received BEFORE the sale of the business may occur (the closing). It’s not clear whether this step was taken or part of your business sale. The rights you have to remain in the property should be defined in your business purchase agreement and the commercial lease agreement the former business owner signed. To defend any rights you may have, you should consult with an Attorney immediately. Truly wish you well Jovan! If you need to source an Attorney to assist you with this, feel free to send in the request here. I currently own the building where a start up deli business has been leasing from me for almost 3 years. The renter renovated the building at his expense and did a great job. I charged him a very reasonable rent as he was also putting many improvements into the building. He now has his business sold and the new operator wants to start a new lease with me. The old lease states that any improvements must be left with the building. What documents should I ask to see to protect myself. Should I require a personal quarantee (did not require one before)? How about asking for a tax return and a financial statement? Thanks. As a landlord, asking for a personal guarantee is always a good idea, as it gives you some leverage if the business were to close. With so many small businesses going under (especially in the restaurant industry), having a personal guarantee is typically worth much more than a guarantee from the actual business. You may want to consider asking for a personal financial statement to determine if the business owner would be able to cover the lease if the business folds. This may not be a standard request, but if I were a landlord, I’d treat signing a new tenant just like giving them a loan, which means understanding both the business and personal finances. Asking the existing business for tax returns and/or financials is a good idea as well. This will give you an opportunity to look under the hood and see if the business has been profitable in the past. Keep in mind, however, that delis are often cash businesses that don’t always report all of their revenues, so it may not be 100% accurate. With that said, having it can never hurt. I am in the process of selling my business after 16 years and we are ready to close the deal. However, my landlord here in California is saying thy they won’t assign the new buyer a lease when mine ends in 15 months which will be a huge blow to the deal and my retirement. I need some advice here. Thank You! You need to find out why the landlord won’t assign. Are they unhappy with your buyer’s financial situation? If your buyer submitted an application you may be able to find out if they accepted or rejected him or her. Alternatively, it may be that your landlord is planning to sell the real estate to a developer who plans to clear the land and build something new… You need more information to solve this issue. On a technical note, if your lease is ending the landlord wouldn’t assign your lease, but write a new one for your buyer, but you still need to find out why they’re not open to your buyer. Most landlords are open to reassigning and certainly writing new leases if the future tenant makes sense for the space. If you have a working relationship with your landlord, I’d probe to find out if it’s this person or something else so you can overcome this barrier to your retirement. I am currently negotiating a 10 year lease with 5 year option. The lease is in the name of my company. The assignment clause processing fee is 1 month’s current rent which would be between 6 and 8k. Also, I have to personally guarantee after the assignment. The rent is also increased 3% and an additional month’s security deposit. My business is a 3000 sq ft dance studio on Long Island NY. Is the fee reasonable? How critical is it to get the company to guarantee instead of personally? There are no rigid rules on negotiating a commercial lease. It is a market driven process. From my experience having an assignment clause processing fee is somewhat common. Some leases will not allow an assignment. This clause can be advantageous if you ever sell your business and the buyer can be asked to pay it. Having an automatic rent increase may push the rent above market and necessitate a buyer to negotiate a new lease at market rates. Finally it is also common for the renter to have a personal guarantee. Make sure the assignment clause releases the personal guarantee. The new renter would then have to agree to his/her own guarantee. First of all, shout out from a fellow Long Islander! I grew up there and visit often. Regarding your question, I’m going to cherry pick the part that I know about, and leave the rest for one of the other advisors that are more familiar. You asked how big a deal it is to get a company guarantee vs personal guarantee. In my experience, it’s a very important difference. I spend my days helping business owners who have closed their business for one reason or another. After bank debt, personally guaranteed leases are often the biggest obligation that needs to be dealt with. If you personally guarantee the lease and the business fails, then you will be liable for the lease payments out of your own pocket. At $8K per month, that’s overwhelming obligation that most people can’t swing. Contrast that a business guarantee (with no personal liability). In that case, if your business closes and all the assets are sold (if there are any), the landlord has no additional recourse (i.e. you are not on the hook personally). So if possible, you want to avoid signing the lease personally. That way if the business did ever close, you wouldn’t be personally responsible for the lease payments. First, the the lease you have with the landlord governs the relationship that you have and will be the most important document. It outlines your rights I comes to the deposit and exiting the lease. Including when there’s a buyer. Second, the buy-sell agreement that you have with the buyer is critical to understanding your rights with regards to the lease that the buyer should have assumed as a condition of the sale. A well-drafted contract contemplates this. Finally, you are state law likely has a good faith provision when doing business and it sounds like there was some bad faith going on here and that will likely help you in negotiations. Call your local bar association and seek some referrals for commercial contract attorneys, with litigation experience. HI there, I am working on the sale of my small business. The potential buyer will be taking over and running the same type of business. Hair Salon. She is more than qualified as a buyer as this would be her second location. My landlord has never been easy to work with. I reached out to them about 3 months ago to express my interest in selling my business. When I emailed them today about the prospect my landlord told me that on top of qualifying my potential buyer I (seller) would need to submit MY business financials from the last two years! Why would I, as a seller need to submit my financials? My current financial status doesn’t seem relevant. HELP! Congrats on the potential sale of your Hair Salon! Landlords can be a barrier to a successful transition, and this does sound like your landlord is “barking up the wrong tree.” This may be a communication challenge, as your landlord should be seeking the financial status of your business buyer, as you suspect. If there is a broker involved, that broker could help to stewart the buyer prospect through the process of being accepted by the landlord. If not, I would encourage you to actively “sell” this future tenant as a great successor based on her financial position. I might also suggest that you share the history of paid rent to your landlord as that seems to be the only thing relevant at this stage. That being said, be as polite and professional as possible because your landlord could be the only thing standing between you and your exit, and review your lease for any language related to the lease assignment clause. Best of luck to you Lindsay. If you are selling the business to a new owner, this is the landlords chance to assess whether the business is still viable. If you’ve been propping up the business from personal cash flow, they’d want to be aware of that. If the business has been profitable (and it’s clear that it will have no problem paying the rent), and the new owner has a personal financial profile that’s equal to or better than yours, I would guess that the landlord will allow the new owner to take over the lease. I am a Business Broker and Featured Adviser with EXIT Promise and have encountered this same exact issue with a landlord in at least one transaction in which I represented the owner of a retail business. I think the landlord wanted to confirm the business was still profitable and there was no risk of the current or potential new owner having to close the business. The business had struggled for a few years but was very profitable at the time of the sale, and the buyer successfully negotiated a new lease just before closing the sale. The buyer also shared her business plan with the landlord and presented a promising future for the business. Is there any possibility the landlord wants to lease the space to a different type of business? Make the best case you can for your buyer and your buyer needs to make their best case as to why they would be a valuable tenant. I am under a lease agreement which runs out in march. I’ve proposed a new lease (I want to sell my business within 6month to a year). Should I get a new lease before selling or should I tell the land lord my plans of selling and ask for a new lease to be written out to the potential buyer? Any advice would be greatly appreciated. This could work both ways: (i) a potential buyer could want you to have a long-term lease in place if it wants to keep the business operating out of the same space after Closing; OR (ii) a potential buyer could have plans to move/merge the business after Closing in which case it would likely deduct the cost of getting out of a long-term lease from the purchase price. Perhaps you have a feel as to which would apply in the event that you sale your business? If you are unsure, then perhaps a shorter-term extension might be best. Happy to discuss. You should get a new lease with an assignment clause. This protects you if you don’t sell in the near future. It also allows you to transfer the lease to someone who buys your business. It actually will increase the appeal of your business when a buyer knows a lease is already in place and does not need to be negotiated. The caution is to not have an unreasonable condition for assignment, like a penalty or a requirement that you guarantee payment after transfer. Look for the language “Cannot be unreasonably withheld” in the assignment clause. This means that if you bring a good candidate the landlord should be able to reject them. Most buyers want a long term lease and many won’t consider a business with less than a year remaining. Like Thomas, I have an unreasonable landlord. I’m 65 years old and he knows I am going to sell sooner than later. His latest lease agreement proposes my rent to increase by almost 40% and that’s above market. I need the location because my employees all live in this neighborhood and if I move now, it will disrupt my business. Also, I’ve always had a three year lease. If I ask for five or six years, do you think that will work against me when trying to get the rent payment down? Thx! Sorry to hear that you have an unreasonable landlord, and I do understand that your location is tied to the value of your business. It’s good that you know the market rate, as it should give you some leverage when negotiating. Even though you know that you don’t want to move, your landlord will also know that you have that option at a lower rental rate, and he or she wants you as a tenant as much as you want the space. It sounds like you are negotiating directly, but you may want to speak to some commercial real estate agents in your market to see if one will represent you in your lease negotiation. Many get paid from the landlord if they are successful in bridging the gap on price and terms between a tenant and a landlord. Asking for five or six years should help your case, not hurt it. Landlords want long term tenants so you are reducing the owners risk of future vacancy by committing to more time. They should give you more favorable terms if you are negotiating for a longer lease term. If you haven’t already, consider negotiating to remove the personal guarantee from agreement and sign only with a corporate guarantee. Landlords want to keep everyone on the hook so it’s hard to do this, but if you can achieve it you will have less commitments to your business after you sell it. Selling tenant has a lease with landlord and purchasing tenant purchases property and remains in the space without a lease assignment. Does the selling tenant lease remain in effect as is? If not, what are the lease terms and conditions for the purchasing tenant? That’s a great question for a real estate attorney with specialized knowledge of local laws Mr. Spann! As a business broker and the author of this article my response would be that the current leases of the property need to be addressed in the sale of any commercial real estate to avoid this problem. I would also review the terms of the lease that the “Selling tenant” (I believe you mean an owner of a business with a valid lease to a property he/she does not own) to see what protections are in writing. Lastly, I see a lot of tenants who can not get a long term lease because the owner of the property is looking at selling it so they want to avoid this problem. I am planning to sell my business next year and have a landlord that has always been difficult to work with. No matter what, he tries to get me to pay him more. Where do I look in my lease about the assignment language? ARe there specific words I should look for that will tell me if I am going to have troubles? I am renewing my lease in December and thought I may have a way to fix this before I sell. Greetings Thomas. Most leases have a section titled “Assignment/Subletting” or “Right to Assign.” The key words to look for are “Cannot be unreasonably withheld,” and most newer leases do have this language. It simply means that if you bring a viable tenant your landlord should not be able to refuse to assign the lease. If you are renewing in December see if you can get out of renewing your personal guarantee and keep your corporation as the only party that’s legally responsible. Work closely with your real estate attorney to protect your interests and understand your obligations for your lease. Best of luck in your negotiations!